April 27, 2018 -- Medical device company Align Technology has expanded its iTero line with two new digital scanners, the iTero Element 2 and the iTero Element Flex. The iTero Element 2 scanner has a 25% faster scan processing time than the iTero Element and includes an integrated lithium-ion battery that allows the scanner to be moved between operatories, according to the company. The iTero Element Flex is a wand-only device that allows compatible laptop computers to function as a scanner. 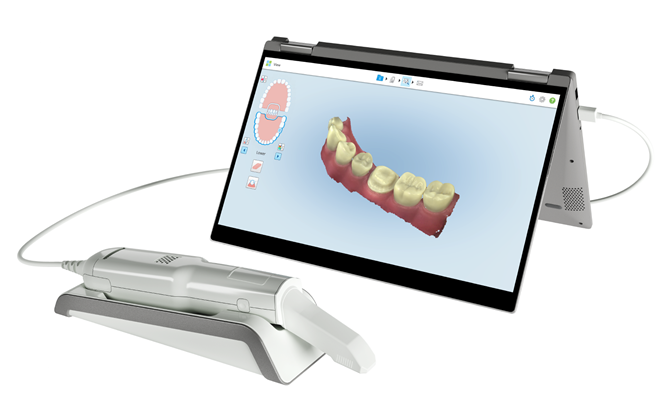 Both scanners work with existing iTero orthodontic and restorative workflows and allow open stereolithography (STL) export, according to Align. The iTero Element Flex. Image courtesy of Align Technology.